Frank rode for Cradley for just one season - 1964. He made his debut in the second half of the match against Wolves on 28th March winning the junior race, he missed the next meeting at Dudley Wood after he blown his motor practicing on Ainsdale sands Liverpool! However he was back the following week to win the reserves race again. He was put into the team at Long Eaton on 7th April but failed to score. His debut in the Cradley team produced 4 points from his first two rides before his bike packed up. His next meeting, at Somerton Park Newport resulted in 5 paid eight points from the youngster but unfortunately this proved to be his best score for the Heathens. 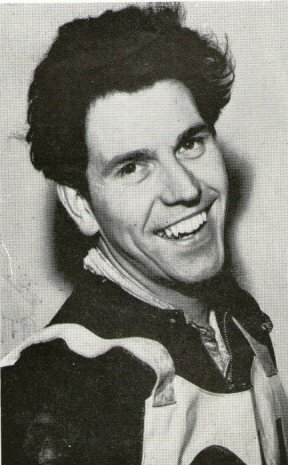 Frank also rode cycle speedway for the Kingstanding Monarchs Birmingham. Unfortunately Frank passed away on Sunday 26th January 2014, our condolences to his family.